Hello and welcome back to Chapter Crafts. 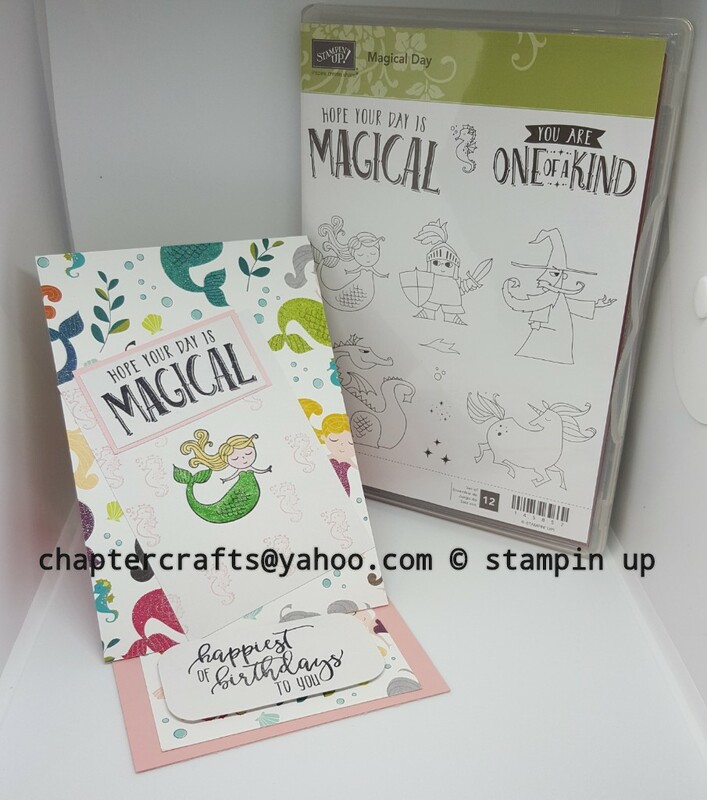 Today I have made a tent card using the magical day stamp set from Stampin up! 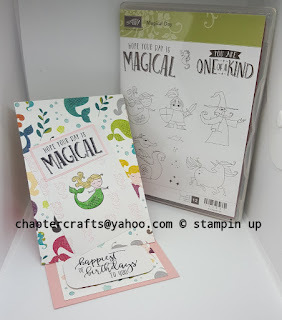 This is a different sort of card then to see in the shops and it doesn't use any extra card stock. I love this stamp it is so useful for all ages. 2 7\8" & 5 3\4"
Myths & magic designer series paper cut to 4" x 5 3\4"
Whisper White card 3" x 4"